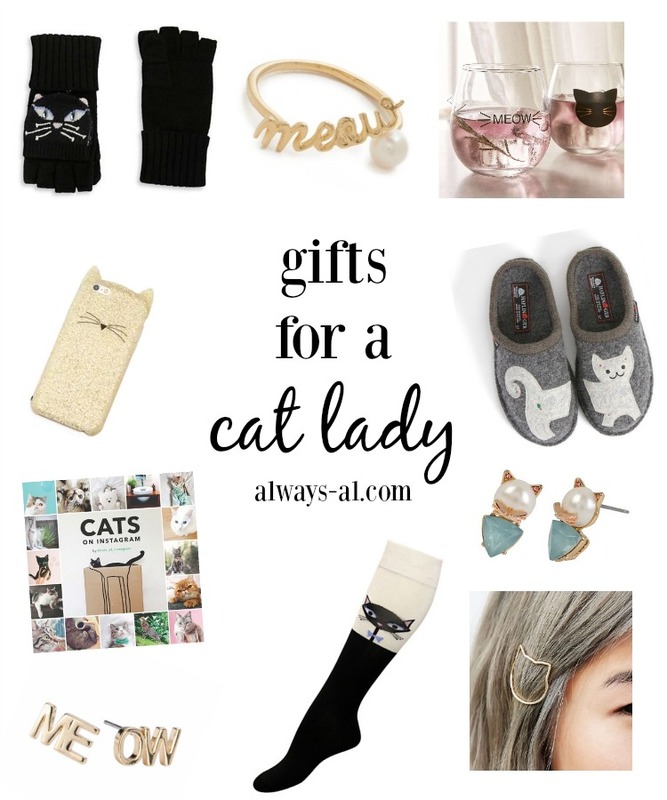 Since I made the formal declaration to you that I've become a crazy cat lady, I was thinking what is more appropriate than creating a gift guide for the cat lady in YOUR life. Even though I think things with animals on them can sometimes be a little bit hokey, so I tried to pick things that we a little bit more sophistocated. I absolutely love those Betsey Johnson earrings. I think they are so subtle and beautiful. And the Cats of Instagram book would be great on any Cat Lady's coffee table! Happy Shopping Friends!